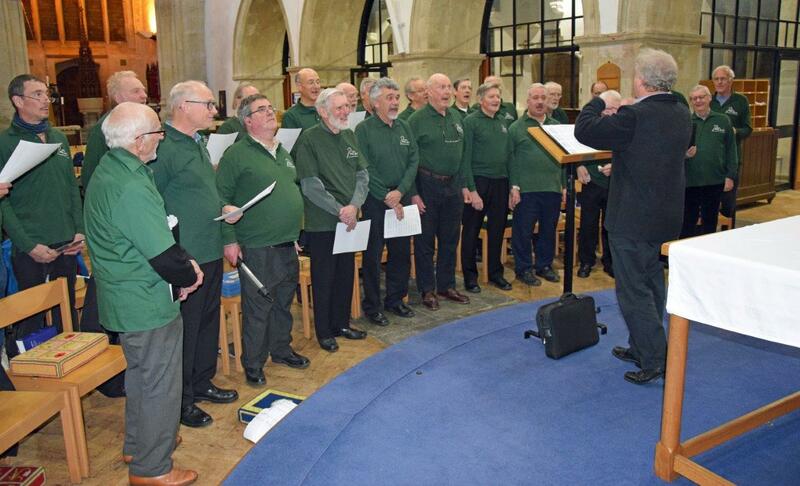 Many thanks to Graham Coatman for his great arrangement which we thought sounded fantastic! Welcome to Our New Choral Director! 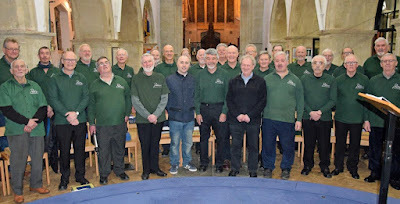 Pewsey Male Voice Choir were delighted by the quality of the candidates who came forward in response to our vacancy for a new Choral Director and are delighted to announce the appointment of Graham Coatman to the role. 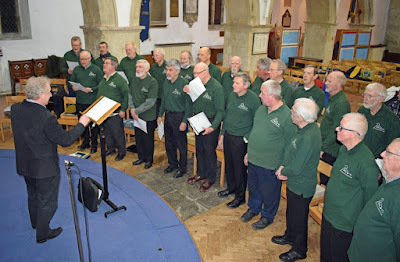 Having moved from Yorkshire to Wiltshire for family reasons just over a year ago, Graham is looking to build on his impressive CV with a new portfolio of choirs in our area and we look forward to making a start with him on Mon 4th Feb. 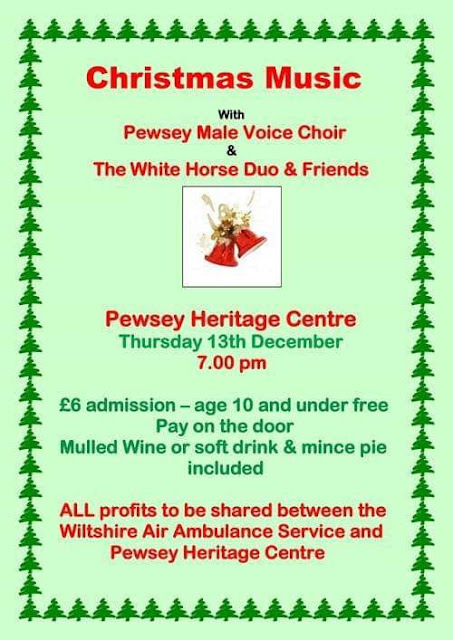 So far November has proved to be a hectic, harrowing month for Pewsey Male Voice Choir. 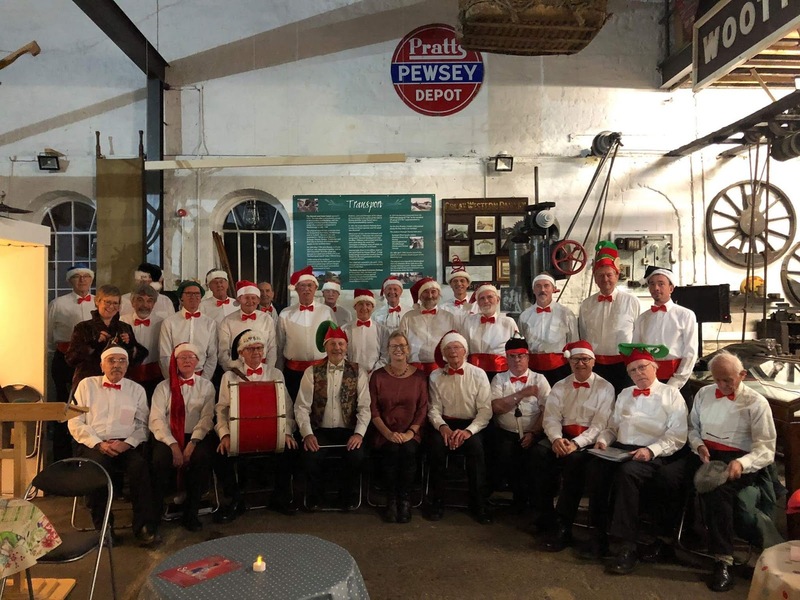 We already knew that our Choral Director of the past five years or so Daryl Taylor needed to stand down in order to fulfil travelling ambitions in retirement. 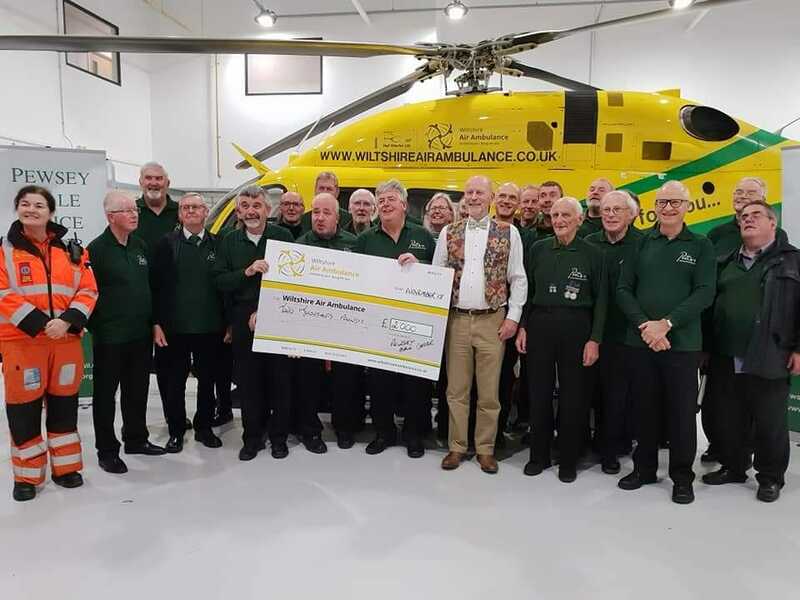 We wish him all the best and have set the ball rolling to find his successor. Next we learned of the passing of long-standing members, firstly, Second Tenor Bernard Gaskin from Manningford and then, poignantly on Remembrance Sunday as we sang at Milton Lilbourne, our former Chairman, current Social Secretary and stalwart Bass 2 John Marshall. Our heartfelt condolences to the families of both our good friends. 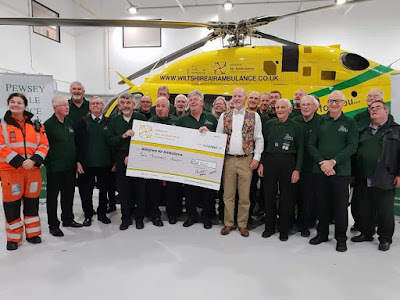 Appropriately enough some uplift was provided on the night of Tues 13th when a sizeable contigent of members and supporters went over to the Wiltshire Air Ambulance HQ at Semington to serenade the helicopter, fundraising staff and aircrew whilst handing over a cheque for £2,000 (being the sum we have raised for the service this year).